The concept of acute stress disorder (ASD) was introduced as a diagnostic entity to improve the identification of traumatized people who are likely to develop posttraumatic stress disorder (PTSD). Neuroanatomical models suggest that changes in the prefrontal cortex, amygdala, and hippocampus play a role in the development of PTSD. Using voxel-based morphometry, this study aimed to investigate the predictive power of gray matter volume (GMV) alterations for developing PTSD. 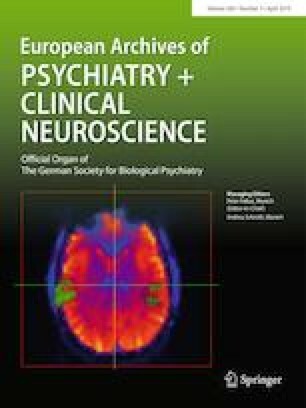 The GMVs of ASD patients (n = 21) were compared to those of PTSD patients (n = 17) and healthy controls (n = 18) in whole-brain and region-of-interest analyses. The GMV alterations seen in ASD patients shortly after the traumatic event (T1) were also correlated with PTSD symptom severity and symptom clusters 4 weeks later (T2). Compared with healthy controls, the ASD patients had significantly reduced GMV in the left visual cortex shortly after the traumatic event (T1) and in the left occipital and prefrontal regions 4 weeks later (T2); no significant differences in GMV were seen between the ASD and PTSD patients. Furthermore, a significant negative association was found between the GMV reduction in the left lateral temporal regions seen after the traumatic event (T1) and PTSD hyperarousal symptoms 4 weeks later (T2). Neither amygdala nor hippocampus alterations were predictive for the development of PTSD. These data suggest that gray matter deficiencies in the left hemispheric occipital and temporal regions in ASD patients may predict a liability for developing PTSD. All authors have agreed to authorship. There has been no prior publication. The authors would like to thank Jan Kirsten for editing the manuscript and Erika Rädisch (Institute of Diagnostic and Interventional Radiology) for assistance in acquiring the MRI scans. Furthermore, the authors would like to thank Benjamin Schürholt and Sascha Brunheim for their technical support, and Judith Holz and Helge Knuppertz for their support in the data collection. The authors would like to dedicate this study with the deepest respect and in grateful remembrance of Prof. Dr. Gudrun Sartory. The study was supported by the Deutsche Forschungsgemeinschaft (DFG) (SA 735/18-1; SE 494/7-1). All authors report to have no biomedical or financial interest or potential conflict of interest. The Ethics Committees of the Universities of Wuppertal and Düsseldorf approved the study. The authors assert that all procedures contributing to this work comply with the ethical standards of the relevant national and institutional committees on human experimentation and with the Helsinki Declaration of 1975, as revised in 2008.